The first BALTIC LANDSCAPE FORUM will be held in Vilnius (Lithuania) December the 13th – 14th 2013. The Forum is promoted by CivilScape Lithuanian member organization Lithuanian Geographers society in partnership with the Žemaitija national park and the Ministry of Environment of the Republic of Lithuania, Vilnius University, Association of Lithuanian Landscape architects. The two-days conference will be a part of series of Landscape Forum that CivilScape is setting up across Europe. The BALTIC LANDSCAPE FORUM is a conference that aims to increase dialogue and cooperation between regional and national authorities, municipalities, businesses, non-profits, non-governmental organizations, landowners and the wide public in order to ensure sustainability of the landscape, safeguard and strengthening its ecological, aesthetical, cultural, economic functions and values. The two indoor sections on Friday the 13th and on Saturday the 14th will bring together experiences and point of views from different national, regional and local stakeholders. The BALTIC LANDSCAPE FORUM will seek to foster transnational collaboration on landscape in Baltic Sea region and exchange of experience, best practices, to vitalize a broader discussion on landscape issues. On Saturday the 14th field in Vilnius will be arranged to provide an insight on what working for sustainable development and for landscape awareness-rising means in practice. Techniques of public awareness raising and involvement into the different landscape activities, including generation of ideas, assessment, protection, planning, management, restoration. The international project LIFEscape, orientated to the fostering the implementation of the European Landscape Convention in the South Baltic region. The CONFERENCE is designed for people and organizations with an interest to participate in a broad dialogue about the landscape, such as non-profit organizations, national, regional planning authorities, regional and national authorities, and others. 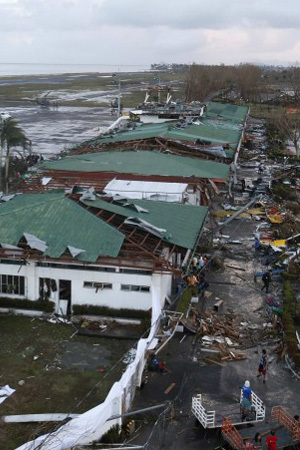 In the aftermath of the major hurricane that just hit the Philippines, a panel at the 2013 Greenbuild conference in Philadelphia focused on a theme of major importance for all sustainable design professions: resilience. A panel comprised of Mayor Bob Dixson, Greensburg, Kansas; Maj. Gen. Warren Edwards, USA (Ret. ), Community and Regional Resilience Institute; and Jon Powers, White House Council on Environmental Quality, explored how to get more communities to prepare for disaster and recover more quickly. 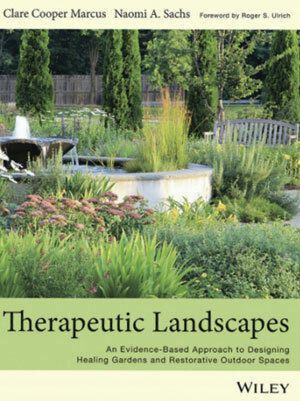 Therapeutic Landscapes: An Evidence-Based Approach to Designing Healing Gardens and Restorative Outdoor Spaces by Clare Cooper Marcus, Honorary ASLA, and Naomi Sachs, ASLA, is more than an update of the milestone 1999 book, Healing Gardens: Therapeutic Benefits and Design Recommendations, by Marcus and Marni Barnes, ASLA. Compared to the earlier book, this book is more richly illustrated with color photographs, exemplary case studies, and practical design guidelines. This book also provides all the latest research on the benefits of exposure to nature. Healthcare is currently undergoing tremendous change. 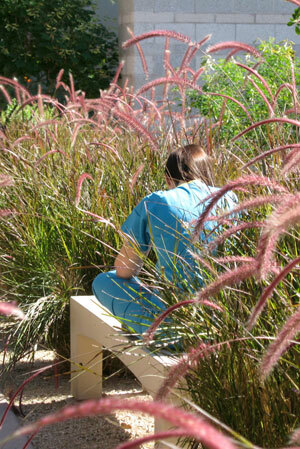 Healthcare environments are increasingly offering gardens, with demonstrable benefits to patients, families, and staff. The 2014 Workshop examines in detail the expectations and requirements needed to effectively define potential Outstanding Universal Value, as one of the fundamental parts of preparing World Heritage nominations. While providing an overview of the overall nomination process, the workshop will focus on preparing the section of the nomination related to the justification for inscription, especially in the case of cultural landscapes. Nominations of cultural landscapes – being the combined works of people and nature – often pose particular challenges as their potential outstanding universal value arises not from their cultural or natural qualities assessed independently but from the inter-relationship between culture and nature. The workshop will therefore examine how to present a clear argument for the justification for inscription of cultural landscapes on the World Heritage List. While there will be an emphasis on cultural landscapes, the overall scope of the workshop also applies to other types of natural and cultural sites. Name, organizational affiliation and email address of each author: The author who will present the paper or poster at the Conference must be designated as the Presenting Author. Title of the paper (less than 20 words long): should clearly summarize the topic of the abstract. Key words or phrases: up to 5. Main text of abstract (170-200 words): Should describe the context and specific problem/topic of study, methods, main results and conclusions in plain writing. All abstracts will be reviewed and evaluated by members of the Conference Scientific Committee. Primary selection criteria include scientific quality, topical significance, and relevance to the Conference themes and to the particular topic to which the abstract is submitted. Abstracts will be evaluated after the 15 December 2013 submission deadline. Acceptance decisions will be made no later than 15 January 2014. A selection of papers will be offered to be published in a book with the publisher Springer Verlag. Conference organizers will explore alternative publication options as special issues of journals for papers and/or posters presented in their sessions. Registration: the conference has no registration fee. The organization will provide conference materials, buffet and conference dinner at no cost. Participants are requested to pay for their own travel expenses and lodging. If you encounter any problem during the on line submission please send the requested information by e-mail to the conference secretariat: landscape@unifi.it. Laboratory for Landscape and Cultural Heritage (coordinator Prof. Mauro Agnoletti) – Department of Agricultural, Food and Forestry Systems- University of Florence. PAYSAGES – la bibliothèque de l’AAPQ est un centre de documentation pour l’architecture de paysage et les paysages. Vous avez des documents et des références à nous proposer? N’hésitez pas à nous les transmettre, et ce, en tout temps soit via Partager ou par courriel àl.desrochers@aapq.org. 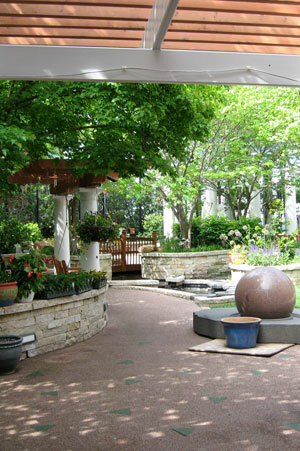 The American Society of Landscape Architects (ASLA) is inviting landscape architecture firms to submit their qualifications to serve as lead consultant for a project greening the streets surrounding ASLA’s headquarters in Washington, DC’s Chinatown. The deadline is January 15, 2014 at 5:00pm EST. The project involves the design and installation of an interconnected series of vegetated systems and proven technologies to manage stormwater runoff and beautify the public right-of-way in the Chinatown neighborhood of Washington, DC. ASLA intends this project to be a world-class model and education tool for developers, designers, city officials, and the public. The selected firm will oversee the project through all phases from design and installation to long-term maintenance planning and educational outreach. 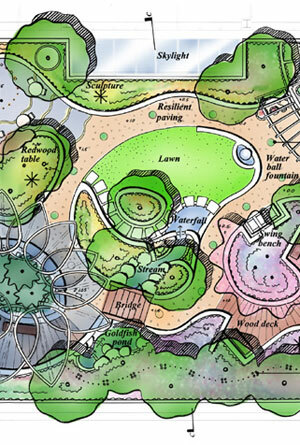 It will collaborate with the ASLA Site Sustainability Task Force throughout all phases of the project. Submission is open to international and national firms of all sizes. According to Nancy Somerville, Hon. ASLA, the executive vice president and CEO of ASLA, ASLA seeks the design expertise of its members to create a national model that will serve as an example for future development in the District and throughout the United States. For more information and directions on how to submit, please visit www.asla.org/greenstreet or send an email to RFQ@asla.org.